A Norwegian Cul-de-sac we came across while wandering in Svolvær. 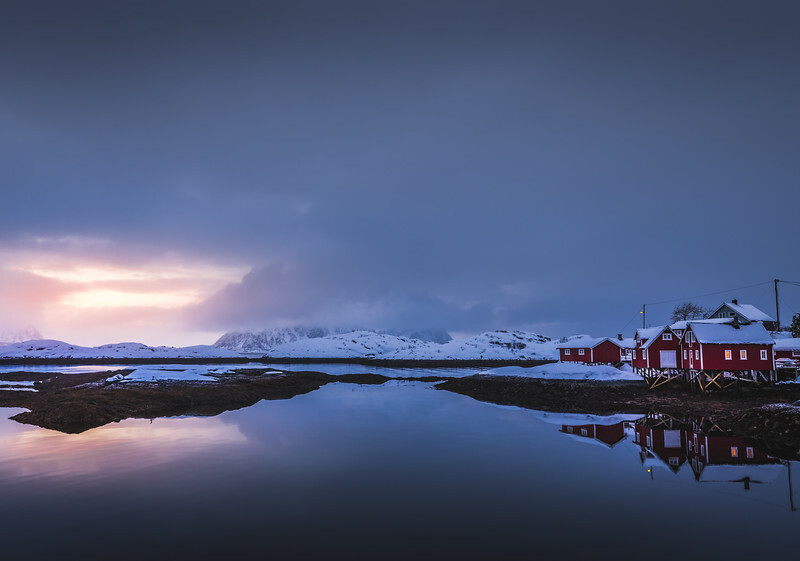 I love the contrast between the bright red Rorbu cabins and the white winter landscape of Lofoten. These cabins can be found all over in the Lofoten archipelago. Used a long lens to compress the background and accentuate Fløyfjellet mountain in the background.